The new Alpinizmo® by High Peak USA line of Latitude sleeping bags feature Cozy Therm™ heat regulating technology for increased warmth and decreased weight. The new lining is designed to radiate heat back to the user while allowing water vapor to pass through and exit the bag. 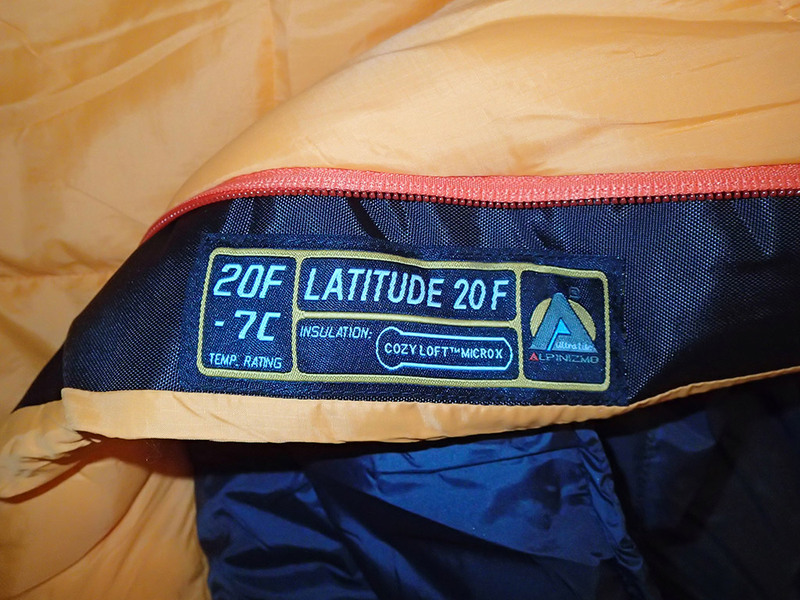 The Latitude 20 is designed to keep users comfortable down to 20°F in a synthetic package that weighs in at less than 2.5 pounds. This mummy bag packs down to a mere 12" x 7.5" making it a great companion on any backpacking adventure. The Latitude 20 features a drawstring closure on the hood, draft tube with snap closure and drawstring, hook-and-loop closure at top of bag, hang loops at the bottom, and snag resistant #5 YKK zipper. High Peak also offers the Alpinizmo Latitude in 0°F and -5°F ratings for colder adventures. 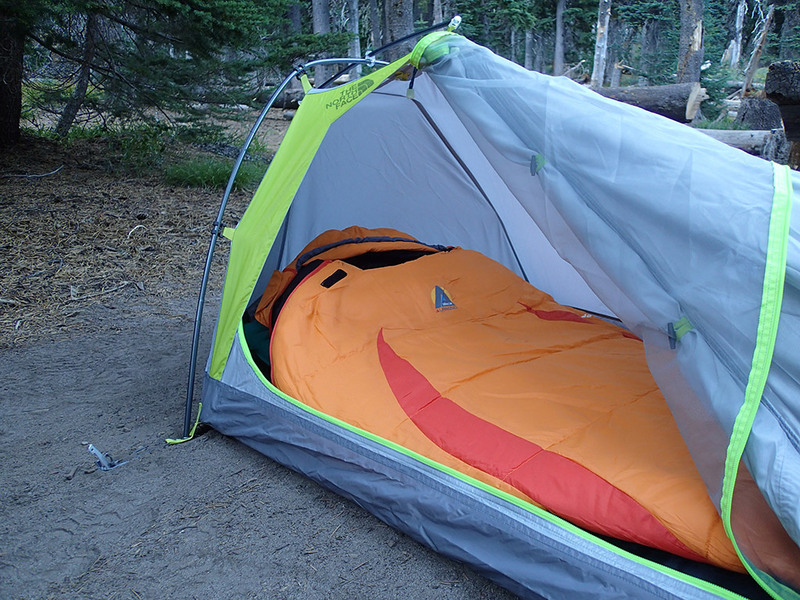 I am normally a down sleeping bag fan due to its superior weight-to-warmth ratio, but was excited to try out the Alpinizmo® by High Peak USA new ultralight Latitude 20 sleeping bag. This synthetic 20° rated bag is only 8 ounces heavier than my down bag with the same rating. While it is heavier, the shell and lining material both feel more substantial and durable than my down bag. It appears to be well made and even has a small zippered pocket inside. 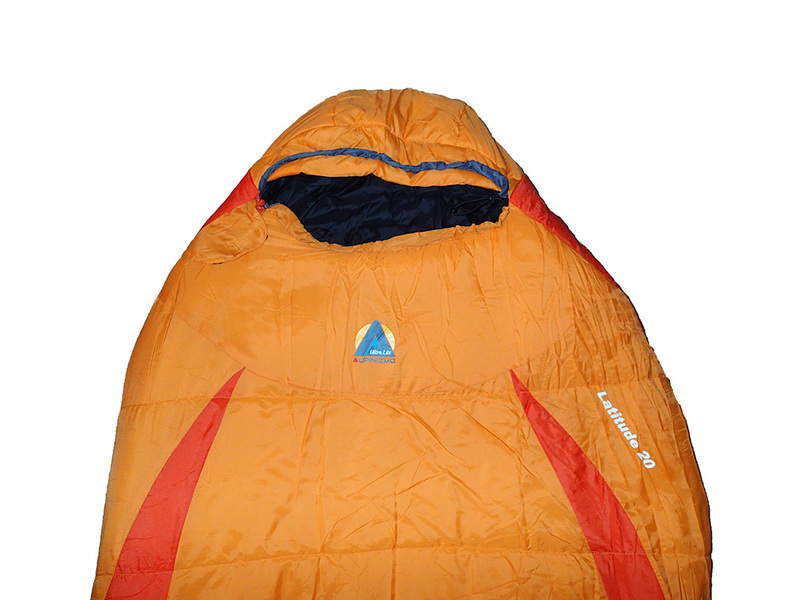 The Latitude 20 is easily stuffed into the included compression sack which features four adjustment points. It is nice to see a 20° synthetic bag that compresses as small as a comparable down bag. The zipper is very smooth and features a long pull cord, making it easy to use. While inside the bag, however, I find it somewhat difficult to zip the last couple inches due to its angle (common to most mummy bags). The drawstring on the hood works well from inside the bag. The draft tube is easy to secure with two plastic snaps and the drawstring cinches it snugly into place. My 5'11.5" frame easily fits in the Latitude 20. There is plenty of room to spare, and I think someone up to 6'2" would find it a decent fit. I tested the Alpinizmo® Latitude 20 bag on a cool late summer night before a solo climb of Mt Adams in Washington state. It was 44°F when I went to bed and dropped to the mid 30's overnight with a low of 34°F. I am happy to report I stayed comfortably warm all night long. Admittedly though, I was too warm at first. Luckily it is easy to regulate temperature with the Latitude 20 bag by unzipping it. The lining seemed to work well at wicking away my moisture, as I never felt clammy and there was condensation in my bivy over the mid section of the sleeping bag. As the night wore on and I became hungry like usual, my body temperature began to drop, but simply zipping up the Latitude 20 was all that I needed to stay warm. I had a light layer of clothing on but did not need to cinch up the hood or draft tube. At cooler temperatures near 20°F, completely zipping up and cinching down the hood and draft tube would likely lead to a comfortable night's rest. I feel the 20°F rating on this bag is accurate for men and look forward to future testing as fall and winter approach. 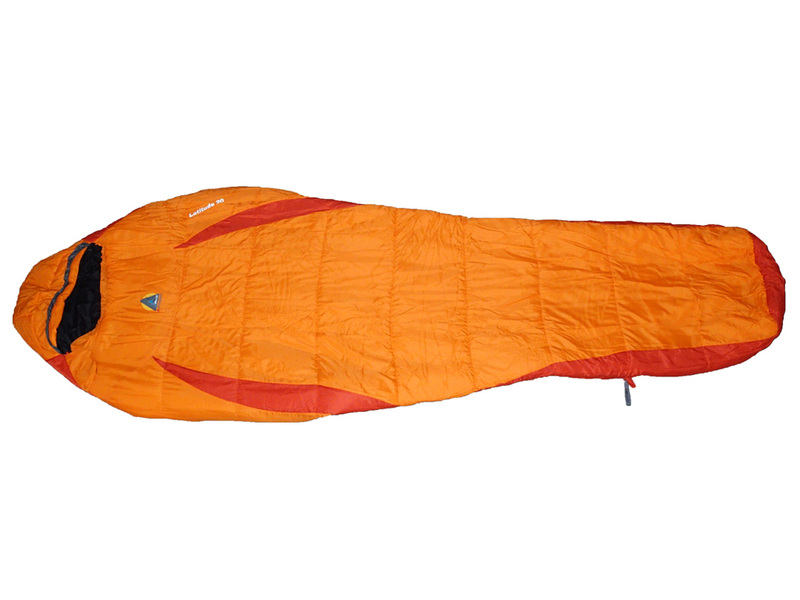 See Mt Adams Solo Climb adventure where the Alpinizmo® by High Peak USA Latitude 20 sleeping bag was used. 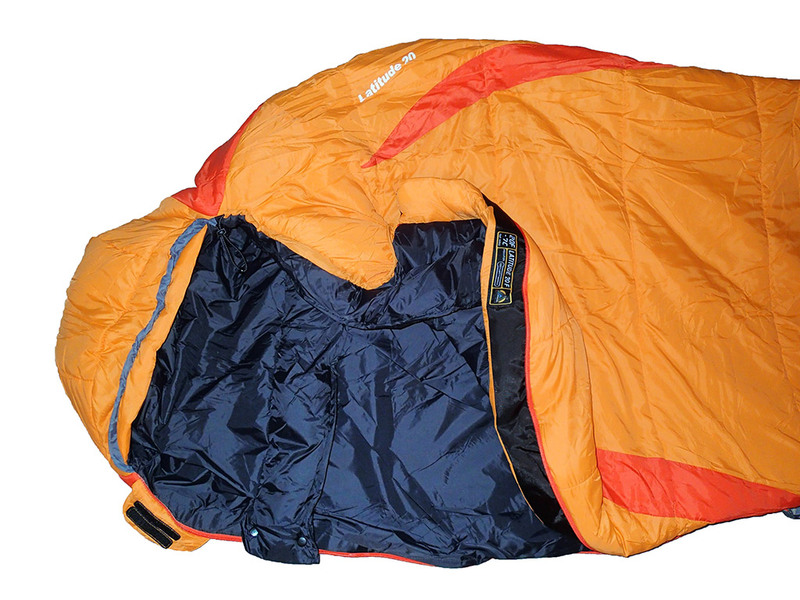 Special thanks to High Peak USA for providing the Alpinizmo® Latitude 20 sleeping bag for review.